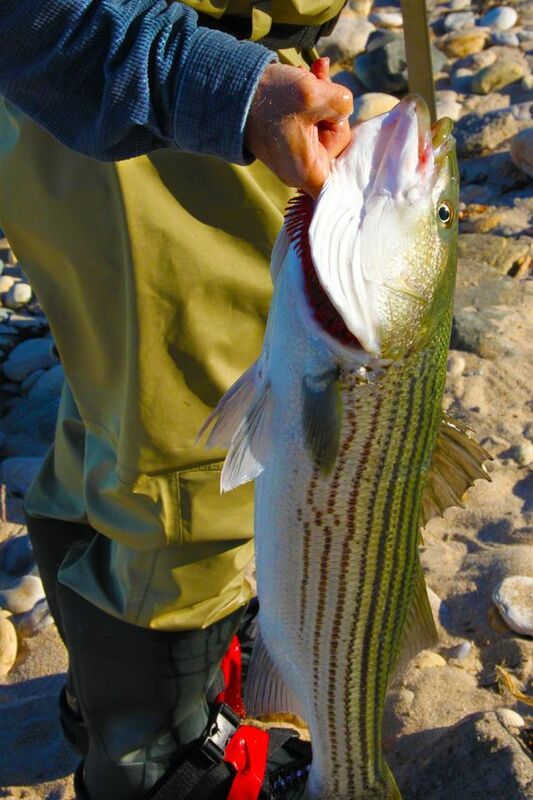 Whether you call them stripers, linesiders, rockfish or one of the many other monikers hung on the Atlantic striped bass, fishermen along the eastern seaboard agree the fish’s combination of size and fight make it a fun challenge to catch. (Check out what Dave Miller has to say about them here.) However, striper populations have taken a turn for the worse and blame is being laid at the door of pollution, overfishing, and mismanagement with other habitat-based threats taking their fair share as well. Everyone involved agrees that there have been troubling fluctuations in rockfish populations. However, as with any problem involving multiple state agencies, field-specific experts, commercial industry, and the rest of us average joes, a lot has been said, but no consensus on how to address the issue at hand has been reached. So, here’s the skinny on what’s happening to stripers and how conservation-minded anglers might be the best solution. If that mention of the low numbers from 1982 is ringing any bells, it’s because this isn’t the first time striped bass have taken a nosedive. In the late ’70s and early ’80s, overfishing and environmental factors caused a plummet in the striper population resulting in drastic action on the part of management agencies in the form of a five-year kibosh on striped bass fishing along the eastern seaboard from 1985 to 1990. Having that in our rearview is actually an encouraging factor now for two reasons: 1.) Things now haven’t gotten nearly as bad as they have been in the past. 2.) Stripers made a huge comeback before, and if we handle it right this time, they can do it again. At this point you might be saying, “Ok, I get that there are issues, but what’s being done about them?” As things currently stand (as of the August 2018 meeting of the Atlantic Striped Bass Management Board) the ASMFC has in place Addendum IV which imposed a 20+% limit on the harvest in October 2014 that continues through the present. This did improve the total fishing mortality numbers significantly, putting them below the acceptable threshold and ideal target percentages. However, female SSB is still in decline. If the trend continues, and female breeding stock numbers continue to fall, the overall population is going to reflect that on a significant scale. In a nutshell, there are fewer breeding females and it isn’t strictly because of overfishing, meaning this isn’t going to be a quick and easy fix. HOW ABOUT THE UNOFFICIAL STORY? I think we all know that wherever official stories, management agencies, and committees exist, there is always the less clean-cut (and potentially more accurate) version of the facts. One fact of note in this debacle is that striped bass are managed exclusively by the ASMFC, not in conjunction with other federal agencies and are therefore not necessarily subject to federal regulations on the subject. Contrast this to the summer flounder for example, which is jointly managed by the ASMFC and the Mid-Atlantic Fishery Management Council, a federal entity. The Magnuson-Stevens Act mandates compliance of federal agencies to maintain population stock. This means that in 2017, the summer flounder was found to be in decline and its management agencies were required to alter the regs to promote recovery. The striped bass has no such built-in regulation, and it could be argued that the only reason Addendum IV was successfully implemented was due to public outcry and advocacy from recreational anglers. I should add that it would be negligent of me to paint the ASFMC as the villain in a situation that doesn’t necessarily have one, as the organization’s goal is stated as sustainable management, and back in the ’80s it played a big role in striper recovery. They just might need some encouragement in the right direction. A large portion of those concerned about stripers make their livelihood off the continued ability to harvest them, and immediate economic concerns are no joke. However, if ecological quandaries are solved using economic data, it could put species sustainability at risk. Get educated: If you live in an Atlantic coastal state, check out what your state has on the books regarding stripers. Here are some links with info to help you do that. (ME, NH, MA, DE, CT, NJ, NY, MD, VA, NC, SC, GA, FL) Knowing what is going on in your locale can be the first step in enacting positive change. Voice your opinion: Now that you’ve learned more about the situation, aren’t taking my word for it, and know what you’re talking about, what’s next on the list? You need to tell the right people what you think. The next meeting of the ASMFC is coming up in February regarding Atlantic striped bass, and you can access their public input page here to send in comments and concerns. To sum it all up, rockfish may be down but are far from out. The goal of sustainable populations isn’t far out of reach. As conservationists as well as anglers, we may need to be willing to curb our striper harvest both recreationally and commercially on a temporary basis. However, with good management and advocacy, the striped bass will be preserved for both the near future and the next generation of fishermen. We welcome your comments on this very important topic. Thanks for the information. I live in the northeast and striped bass are a favorite of mine. I’ve heard talk of a population decrease but, until now, hadn’t gotten the full story. Hopefully, this can be combated with sensible management strategies. JT, I remember the the Striper’s struggles of the 1980s and hope it never comes to that again. I’m hopeful that the lessons we learned then will help us to maintain strong stocks and avert another crisis.